Writer-in-residence at this summer’s Odyssey Writing Workshop, Kij Johnson is widely considered one of the top fantasy/science fiction writing teachers in the country. 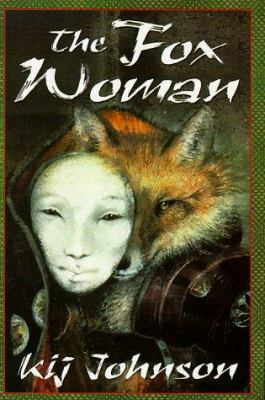 She is the author of three novels—two fantasies set in classical Japan, The Fox Woman and Fudoki, and a Star Trek:The Next Generation novel—and a short story collection, At the Mouth of the River of Bees. Since 2008, her short fiction has won the Nebula Award (three times), the Hugo, and the World Fantasy Award. In the past she has worked in book publishing, comic books and graphic novels, RPGs and trading card games; managed development and tech-writing groups for Seattle-area tech firms; edited cryptic crosswords; identified Napa cabernets by winery and year while blindfolded; and bouldered an occasional V-5. She received her Master of Fine Arts from North Carolina State University, and teaches at the University of Kansas, where she is associate director for the Gunn Center for the Study of Science Fiction. She splits her time between Seattle and Lawrence. You are a permanent fixture at the Gunn Center for the Study of Science Fiction at the University of Kansas, where you teach novel workshops in addition to classes, and we’re excited to have you as the writer-in-residence at this summer’s Odyssey Workshop. Share with us the most important advice you can give to developing writers. First, know precisely what your goals as a writer are, and where they come from, at their core. Most of us have an idea of what we want—I want to publish in Asimov’s; I want to make a living as a writer; I want to win a Nebula; I want to be a bestseller—but a lot of these goals are not 100% in your control, and therefore they’re not productive except as incitements. They’re also not the real answer: you have selected these particular indicators for deeper reasons. Who are you trying to prove what to? Are you proving the validity of your life choice, writing, by achieving something no one—not you, not your father, not your second-grade teacher—can challenge the legitimacy of? Are you writing to validate your existence, to earn your right to breathe? Because at heart you are lazy and you think (erroneously, I’m here to tell you) that making money as a writer will be easier than working in an office? Are you playing out a fantasy of a life, instead of accepting the concrete reality? Second, know who you are, who you really are, for good or ill. Identify your blind spots as a worker, as a visionary, and as an ego. Recognize your flaws and see how they affect your writing and your themes. I tell new writers that the single best tool for a writer is a good therapist. Once you started writing seriously, how long did it take you to sell your first piece? What were you doing “wrong” in your writing in those early days? I started writing seriously (for certain values of seriousness) at twenty-five, and I sold my first story a year later. It was called “Roadkill” and it was about what you would expect with a title like that. It sold to a very small magazine, Tales of the Unanticipated, out of Minnesota. I sold another story a year later, to fabled Pulphouse, and after that I sold a story or two every year, to markets of all sizes. What was I doing wrong? What a great question! I was at the start of my learning curve, and so I was trying all the standard things and failing (or not succeeding very well) at a lot of them. 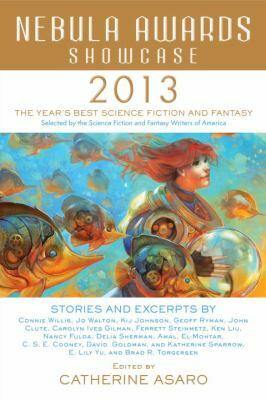 I think there are certain topics that thoughtful new speculative-fiction writers need to engage with, because these themes or techniques have something broadly useful to teach us: that’s why everyone tries them. Adam and Eve. Last Man [Woman] on Earth. Tenth Victim/Battle Royale. Post-apocalypse. Vampires. Zombies. Heroes’ quests. Second-person. Asynchronous storytelling. This is not to say that a writer is necessarily going to write a story about vampires in any conventional sense, but a thoughtful writer will probably explore vampirism/beautiful parasitism/violent seduction/walking dead, in some way that points back to vampires. Or s/he will try to write a second-person story where the voice is mandated by the nature of the story. These stories are not always successes, but they’re always worth doing. More to the point, I was really uncomfortable with plot. From almost the very beginning, I had a strong grasp of affect. I was always interested in making the reader feel things, things maybe she didn’t want to feel. Every word was directed to that purpose. You’ve mentioned in an interview with Locus Magazine that you constantly rewrite your stories. How much of your time is spent writing the first draft versus revising? What sort of revisions do you do? Do you have particular areas you tend to focus on? How many stages do you think your work goes through before you submit it to a publisher? It’s hard to split out the first draft from the early rewrites, because I never write down a sentence without rewriting it immediately, several times. I never finish a scene without having rewritten the first half of it a bunch. I am terribly iterative in the early stages, so that I only write a couple of hundred words an hour at best. When I have what most people would consider a complete first draft, I have already rewritten parts of it ten or more times. I will then rewrite it another ten or more times–or maybe more; again, it’s hard to tell. I have a long list of terms I do “search and replace” passes for, which range from “*ly” to “was/were/are/am/is” and “*ing,” as well as some Kij-specific tics that I need to be on the watch for. (My characters drop pens a LOT.) Except for one-word overuses like “then,” most of these require actually rewriting a sentence or a paragraph to move something out of passive, or to change a verb-adverb combo to something more concise. And then there are the style rewrites. With very few exceptions, by the time I send something out, I have put my fingers on every sentence a minimum of twenty times. Each of your short stories has a life of its own, a different narrative form. The story “26 Monkeys, Also The Abyss” is told in chapters; “Spar” employs sparse and straightforward prose; “The Man Who Bridged the Mist” is a character-driven novella. Do you approach these different forms in different ways, with different considerations? What would you tell writers who struggle with crafting short stories? Is the writing of each story a learning process of its own? Can lessons from previous stories be applied to very different ones? Other people start from character or plot, but I start my thinking for almost every story with two things: a stylistic question I want to explore, and a feeling I want to evoke. “26 Monkeys” and “Spar” evolved from me thinking about how to express dissociation in narrative: both protagonists are traumatized and unable to engage with the past or the future effectively; neither can stay on a thought for long, since all thoughts lead to things they can’t live with (Aimee’s trauma in the past, and the “Spar” narrator’s current crisis/unsuccessful relationship). I do think every story is a learning process. Even after all these years, every story for me starts with a question I don’t understand the answer to. How can I justify second-person in a story as anything but a literary tic? (That’s “The Apartment Dweller’s Bestiary.”) How can I explore the intersection between rage and artistic discipline in a story? (“Mantis Wives.”) I learn and then I apply whatever it was to the next story, but there’s always a new question. Some writers can write anywhere; some have a set place and a set time. What works for you? I do most of my writing on my dining room table—I have a several-times-a-week write group, where one to three other people show up; I make a pot of coffee and we work anything from forty-five minutes to (on one glorious occasion) five hours, depending on circumstance. I also write a lot at a coffee shop named Aimee’s (which is the origin of Aimee’s name in “26 Monkeys”), and I have been known to write a lot on the living-room couch of my friend Elizabeth. Doubt! Even very experienced writers start to second-guess what they’re doing. I worked on a major project for ten years, struggling with fear and doubt that I could pull it off. So now I have a first-draft that is 170,000 words, but I am pretty convinced it’s crap—and I know that it probably isn’t: I’ve been writing for a long time, and it might not be great but it won’t be crap. Or maybe it is great, who knows? I don’t, and I can’t bring myself to show it to anyone. So my fear and doubts as I worked on this project froze me in place for a long time. I couldn’t finish it (because it was crap—see above), but I couldn’t just let go and start some major new project. I finished the draft last summer and set it aside, and finally asked myself a different question: why did I hate working on it? So in July, I analyzed the things that thrill me when I see them in other people’s work and favorite movies (loyalty, beautiful landscape, fairly simple plots) and realized that book didn’t have any of them. So, I figured, f*ck it, I’m just going to write something major that does push my buttons and maybe it’ll be good. Since realizing that six months ago, I’ve written 85,000 words. Unfortunately, they’re two hard-to-sell projects, but that’s fine—I’ll find homes for them. Part of the last six months was a lovely very long novella/very short novel, a response to The Wind in the Willows. It’s not a children’s book; it’s an attempt to open out a classic story I adored as a girl but found myself excluded from–to find a way that women (well, females) could be part of that world without doing violence to the original’s charm and themes. I’m just starting a new novella, pretty much today, as soon as I stop typing this!